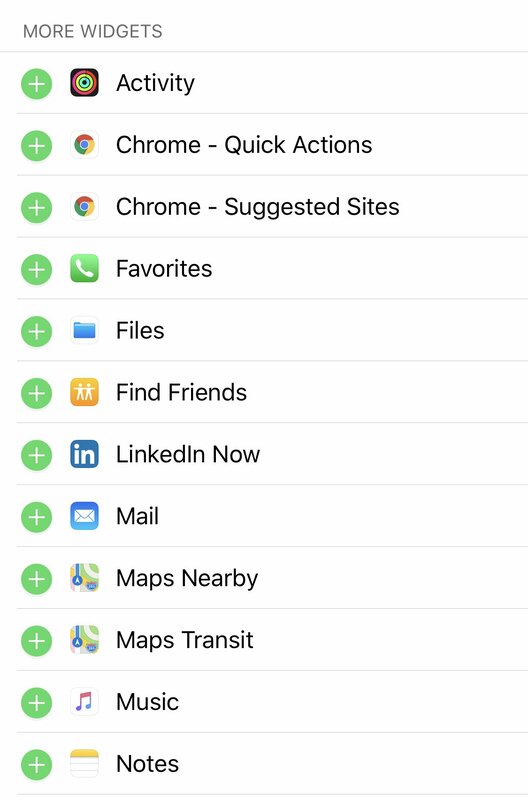 The Today View is a quick, and easy feature on the iPhone that gives you an at-a-glance overview of your favorite apps. Follow along to learn more about how to use and manage it. On the iPhone, home or lock screen, swipe from the right edge of the screen. This can be done from any part of the right side of the screen, top, middle, bottom. To go back to the home or lock screen, simply swipe from the left edge. 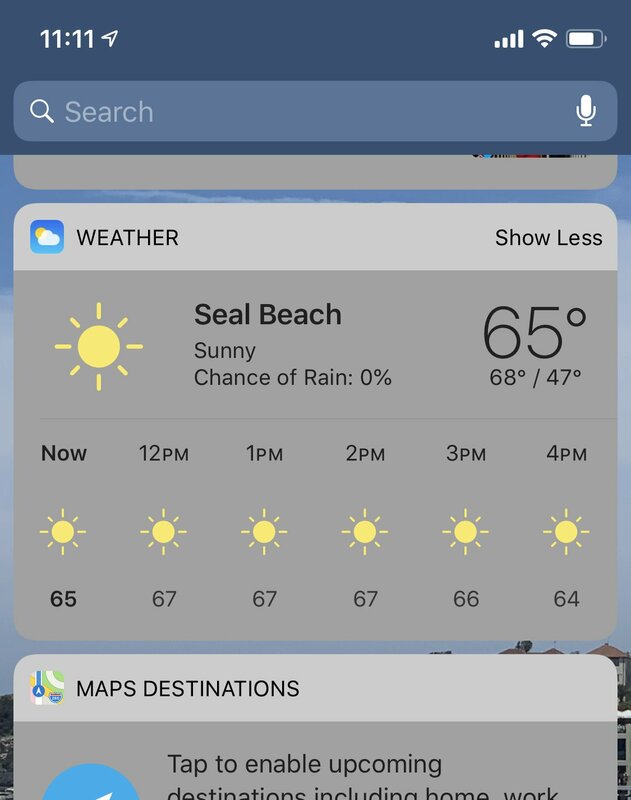 The Today View displays a list of widgets. Each widget represents an app that displays some information that you’d want easy access to. Some widgets let you do a few more things like the “Show More” feature. Show More: The Show More feature is located on the upper right hand corner of the widget. When you tap this, the widget will expand and display more information. For example in the Weather widget, it will display the current weather in your designated location. When you tap Show More, the Weather widget will expand and show the hourly forecast for the day. Launch the App: Some widgets will also launch the app when you tap on it. 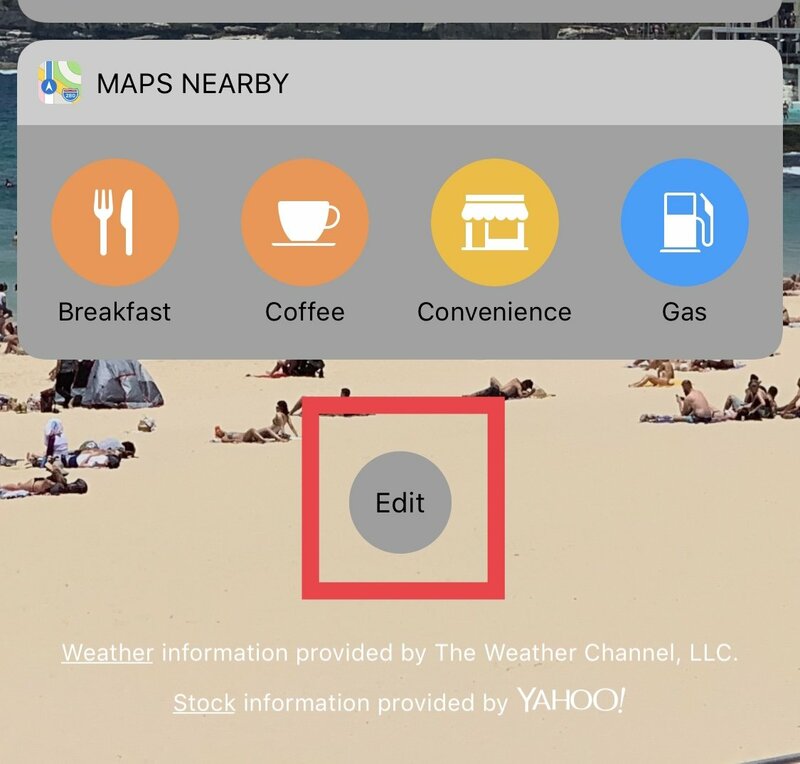 For example, the Maps Destinations will send you straight to the Map app when you tap on it, ready to navigate to your desired destination from your current location. In the Today View, scroll down to the bottom and tap Edit. 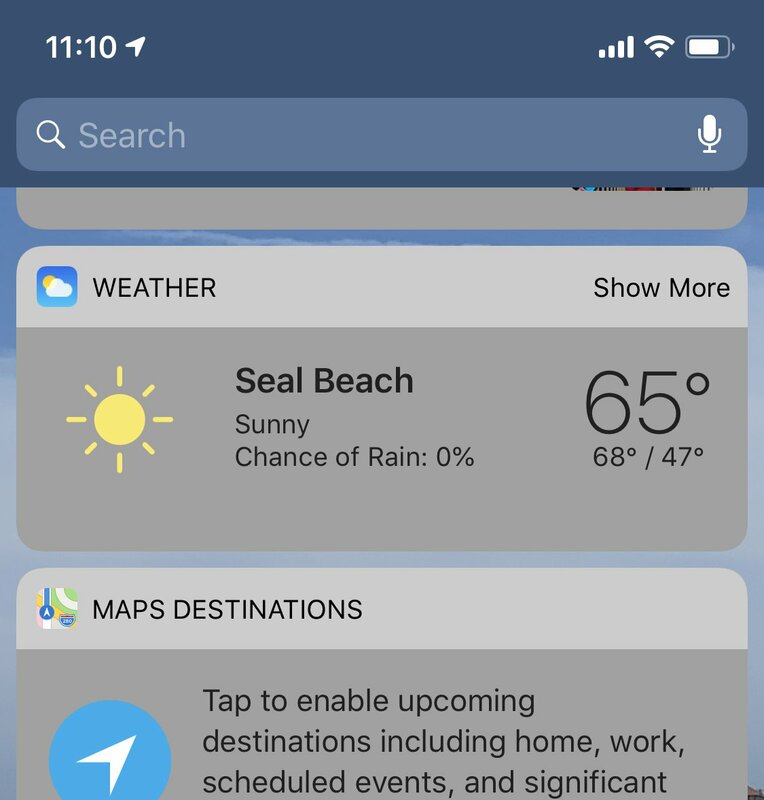 There are two lists that appear, the first is all the active widgets displayed, and the second are new widgets you can add to the Today View. To add, select the “+” icon, the widget will then move to the bottom of the active widgets list. 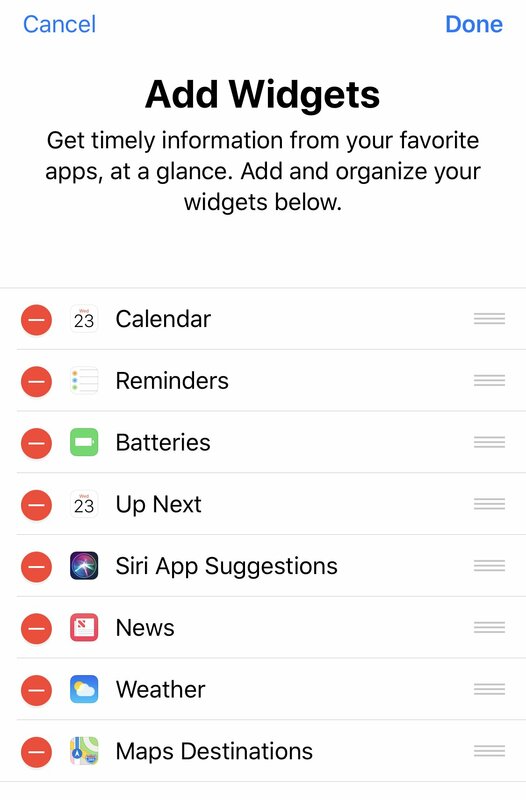 To Delete, tap the “-” icon, the widget will then move to the “More Widgets” list. In the edit section of Today View, look at the Add Widgets section. The widgets appeared in the list are in the order that they appear on the Today View screen. To rearrange the widgets, tap and hold the three horizontal lines to the right of the widget name. Then, scroll up and down to place the widget in your desired location.